CHARLESTON — The West Virginia Business Court, a relatively recent addition to the state's legal system, is making an impact with its unique methodology. In April and May, lawyers from across the state will have an opportunity to interact with the justices of the two-year-old court division, as part of a seminar series hosted by the National Business Institute and partners from Bowles Rice. The seminars, to take place in Charleston and Morgantown, respectively, will seek to shine light on the court's operations. Stuart McMillan is one of the Bowles Rice partners moderating. Having been recognized by The Best Lawyers in America in the areas of commercial litigation, insurance law and media law, he is the chairman of the Bowles Rice Litigation Department and specializes in civil trial and appellate litigation. Suffice to say, he has seen his fair share of time in the business court already. 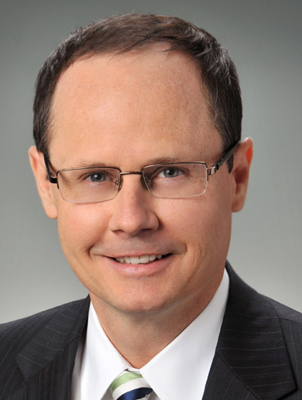 His forum, "As Judges See It: What Attorneys Need to Know About West Virginia's Business Court," will cover the court's functions, but he also let the West Virginia Record pick his brain a bit about the court's evolution. "I think it's been positive. It's still new; we're still getting familiarity with it, but the court has been very good about making sure the right cases get in there. That system has worked well. There was a timing issue about when you could do it, but they've corrected that. The thing is: they do make changes to the rules to make it better. There's always tweaking that's going on. They put a lot of time into it to make it work right," McMillan said. The business court consists of seven circuit court judges who oversee business cases that might otherwise bog down a crowded judicial system. Its members, according to McMillan, are those who can donate the necessary time and resources to such issues and handle them expeditiously — it's their field, their niche. As circuit courts see everything from civil matters to complex business issues and criminal charges, the existence of a division dedicated to one specific area offers a great bit of potential relief. "They have a resolution judge and presiding judge, which is actually quite unusual. One judge deals with mediation. The other makes decisions on evidence, exclusion of witnesses, legal issues, summary judgments. So it's unusual in that you actually have two judges. The mediation they do — often you pay quite a bit for a mediation. These are offered free," McMillan said. He noted, however, that not many take up the mediation side of things. Many may not even realize its value. There's no appeal to the process, but it could expedite a case exponentially. Such capabilities are the sorts of things McMillan hopes to clear up in the forums. As to the court itself, the structure is distinctive in more ways than one. Only certain cases can be referred to it, for starters, and while any party can do so, only the chief justice can decide if it fits the bill, McMillan notes. "When a party refers a case, they say hey, this is a business issue, and the justices of the supreme court have a pretty good system where they get a motion, it's referred, other side has an opportunity to oppose it. There are criteria for what is or is not a business case. The chief justice issues an opinion and refers it, and then they assign it mostly on geography," McMillan said. While McMillan's seminar will take place in May, it will be preceded by "As Judges See It: Top Mistakes Attorneys Make in Civil Litigation," as hosted by Andrew Fusco. Each seminar will be attended by three judges of the business court.